The Center for Theoretical Studies and History of Sociology specializes in conducting research of a fundamental nature. The research objectives of the center are to study the history of sociology and modern achievements in theory and methodology in domestic and international social science and to research the social processes of "problematic areas" of Russian society. Analysis of the history of sociological knowledge and modern sociological theory; discovery of heuristic possibilities and the explanatory potential of classical and contemporary theories in the research of the diversity of human society types (Department of Theory and History of Sociology, Head: Doctor of Sociological Sciences, I.F. Devyatko). Analysis and theoretical interpretation of empirical research data on social identities, solidarity practices, individualization, relationships between attitudes and social behavior, and research on various social groups (Department of Theoretical Analysis of Social Transformations, Head: Candidate of Sociological Sciences, E.N. Danilova). Research on values and behavioral habits in work, business, politics and the private lives of representatives of mass and elite social groups (Personality Research Sector, Head: Candidate of Psychological Sciences, V.S. Magun). Research on communicative practices and forms of solidarity on the Internet (Head: Doctor of Sociological Sciences, V.V. 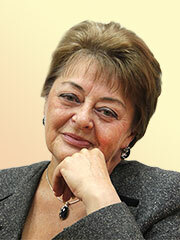 Semenova). Research on mass social movements in their interaction with non-profit organizations and other structures of civil society (Socio-Ecological Research Sector, Head: Doctor of Philosophical Sciences, O.N. Yanitsky). Various theoretical and methodological approaches are applied in the center's research work: the theory of structural functionalism, interpretive and phenomenological sociology, and the pragmatist-activist approach. The center organized the permanent theory seminar "Modern Social Theory and Theoretical Sociology in Russia". Seminar participants include employees of the Institute of Sociology of the Russian Academy of Sciences, the Institute of Social and Political Studies of the Russian Academy of Sciences, and the Institute for Systems Analysis, as well as teachers, students and post-graduates, members of governmental and non-governmental organizations, and representatives of Russian business. The research objectives of the center are theoretical justification, conceptual design, and empirical testing of the methodology, methodological procedures, and research techniques that increase the reliability of sociological information. Methodological problems of longitudinal studies: research, development, and modification of the design of data collection in longitudinal studies. Selective and non-selective errors in mass surveys (Department of Methodology and Methods of Social Studies, Head: Candidate of Philosophical Sciences, M.S. Kosolapov). Research of the basis of mathematical formalization in empirical sociology (Department of Methodology and Methods of Social Studies, Head: Doctor of Sociological Sciences, G.G. Tatarova). Methodological basis of content analysis. Concept of human mentality and its study using content analysis (Department of Methodology and Methods of Social Studies, Head: Candidate of Philosophical Sciences, E.Y. Tarshis). Development of contacts between sociology and mathematics: a historical perspective (Department of Methodology and Methods of Social Studies, Head: Doctor of Economic Sciences, U.N. Tolstova). Standardization of indices of empirical social studies (Data Bank Sector, Head: Candidate of Philosophical Sciences, N.I. Rostegaeva). Methodological and methodical instruments for measuring social, political, civil and legal affiliation dynamics in the Russian Federation from 1966 to 2013 (structural changes in social activity, awareness, and other ideological factors in popular mentality), (Data Bank Sector, Head: Doctor of Sociological Sciences, A.V. Zhavoronkov). Social cohesion as a basis for steady democratic development in post-totalitarian society: methodology of analysis (Sector of Social Process Research Methodology, Head: Candidate of Philosophical Sciences, G.M. Denisovsky). Older generation: social and psychological aspects of life activities (Sector of Social Process Research Methodology, Head: Doctor of Sociological Sciences, T.Z. Kozlova). Social and structural changes in rural Russian during the post-reform period (Sector of Social Process Research Methodology, Head: Candidate of Sociological Sciences, M.N. Mukhanova). Place and possibilities for using content analysis in various types of social studies (Sector of Continuous Applied Studies, Head: Doctor of Philosophical Sciences, V.A. Mansurov). Methodological problems in the organization and conducting of applied social research (Sector of Continuous Applied Studies, Head: Candidate of Sociological Sciences, U.B. Epikhina). Epistemological and ethnographic analysis of everyday social awareness, "world view", frames of mind in different social groups due to changes in Russian society and the need for a scientific approach to social policy regarding these groups (Head: Candidate of Philosophical Sciences, L.A. Kozlova). The research objectives of the center are to study the social structure of Russian society. Attention is focused on analysis of the interaction of occupational dynamics and social transformation of Russian society during the post-Soviet modernization period. Issues of new social structure formation are often observed as one of the most theoretically difficult and under-researched effects of reformation. Problems of social stratification of the rural population during the post-Soviet period (Sector of Rural Sociology (Krasnodar), Head: Doctor of Sociological Sciences, A.A. Khagurov). The research objectives of the center are research of adaptive processes during sociocultural transformation and modernization of Russian society. The center is focused on the issue of adaptation of different social groups and individuals to ongoing social changes. The main objective is to determine and measure the adaptive potential of different social groups. Comprehensive analysis of factors heavily affecting the relations of social subjects to the legitimacy of various threats; search for strategies, tactics, models and means for reaching a socially acceptable risk level as a condition of adaptation; problem of inequality in risk distribution and social responsibility in modern Russia (Sector of Risk and Catastrophe Problems, Head: Candidate of Philosophical Sciences, A.V. Mozgovaya). Dynamics of everyday behavior of large social groups in verbal and objective time criteria, trends in changes in value and normative perceptions and in real behavior, directions of adaptive process (Sector of Research of Everyday Activities and Time Budget, Head: Candidate of Economic Sciences, T.M. Karakhanova). The research objectives of the center are to study interethnic relations, civil and ethnic identity, ethnic aspects of social differentiation in a transforming Russian society, dynamics of the ethnic aspect of migration, and potential for integration trends in multiethnic Russia. Transformation processes and sociocultural relations in Baltic countries ("Russian-Baltic Center" Group, Head: Doctor of Sociological Sciences, R.H. Simonyan). The research objectives of the center are to study religion as a global work view and sustainable sociocultural institute affecting different areas of personal and social life. The main objective is to analyze the specifics of the modern spiritual mentality of Russians, new phenomena in religion and the church, their relations with society, government and political institutes, and to determine the specifics of these relations in multi-faith Russian civilization. Orthodox-Muslim dialog in Russia: history and modern age. The research objectives of the center are social process management, organization and self-organization on societal, institutional, and managerial levels, local autonomy, development of sociology of management as a research discipline. The practical goals are the search and development of a national model of innovative development management that would be adequate for internal and external challenges as well as regional sociocultural differences. Social management technology as the subject for theoretical and methodological analysis and the product of applied research (Head: Doctor of Sociological Sciences, Professor, V.V. Scherbina). The Laboratory of Information and Social Technologies (LIST), founded by the Center in 2008, performs applied research for organizations and institutions. The scientific problem the Center is focused on is analysis of the inconsistency between the need to consolidate the Russian society as a whole and on regional level and diversity of subjective and objective factors standing in its way, including rapidly changing and unbalanced internal and external conditions. Social effectiveness of regional management (Head: Candidate of Philosophical Sciences, Assistant Professor, A.U. Hots). The Center conducts research focused on comprehensive study of socio-economic, socio-cultural and socio-political conditions of the Russian society transformation, including dynamics of social structure, transformation of behavioral practices in socio-economic and socio-political fields, cultural dynamics etc. The Center annually carries out large-scale nationwide sociological researches on socio-economic and socio-political issues. The Center for Political Science and Political Sociology researches different problems of society and state from the point of view of political science and political sociology. Scientific-Educational Center of the Institute of Sociology of the Russian Academy of Sciences offers a training programme 39.06.01 – “Sociological Sciences”. The aim of the Center is to prepare future researchers and teachers with high qualification. There is a department of professional development and additional education in the field of sociological science. IT-Center upgrades technologies of data collection for quantitative rating of employees’ activities. IT-Center helps scientific journals where the Institute is the cofounder with methodological issues: creates and contents a specialized Internet resource. a regular seminar “Information Technologies in Research Work” including the correspondence seminars: “Difference of an Electronic Edition from Printing”, “Development of the Sociological Tools” and “About Presentations, About Slides”.